The Franklin Arts Trail seeks to connect art-lovers with the abundant creativity found in the Franklin District, taking you right to the source. A trail map and information are provided at the website to guide you through this inspiring journey. Follow the map on your phone or download the brochure - everything is ready for you to plan your artistic adventure. The Franklin region is a vibrant and abundant area. Between the sheltered waters of the east coast and the rugged wild of the west coast with it’s famous lighthouse at the tip of the Awhitu Peninsula, lies a fertile, rolling landscape. 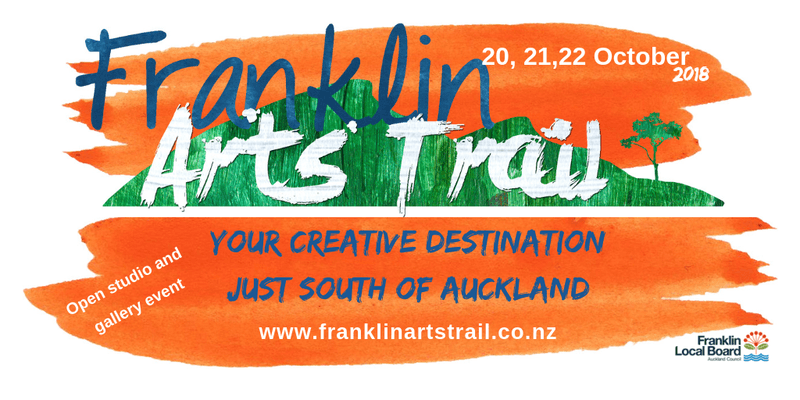 As you explore the Franklin Arts Trail, you will pass through the unfettered beauty of native bush, ordered rows of vegetable crops, paddocks of horses and livestock - a luscious backdrop to the bustling market town of Pukekohe and it’s surrounding towns and settlements. Enjoy a unique glimpse into artists’ studios, find the stories behind the works. You might even have the opportunity to try your own hand at something creative along the way - and find something beautiful and unique to take home.